This cemetery is located about 2 miles west of Pine Grove Presbyterian Church in Edmonson County. This is a very old cemetery and probably precedes the Hawks family. Colonel Calvin Duvall Cowles, in the book, "The Cowles Families in America", written around 1910 leads one to believe it was the Cowles family graveyard. The large number of sandstone markers on the top of the hill would support the notion that the graveyard existed long before it was called Hawks Cemetery. Baugh, James Henderson b. May 31, 1858 d. May 3, 1931 Husband of Margaret, son of William Baugh. Owner of the original telephone system in Pine Grove and later sold it to Roy Wilson, his son-in-law. Jim’s father, William was a teamster and hauled supplies to Missouri with his wagon and mules. Baugh, Margaret b. Nov 27, 1855 d. Jul 29, 1924 Wife of James H. Baugh. Daughter of Blufford Wilson and grand-daughter of Jonathon Wilson of Montgomery County Virginia. Boyd, Ethel 4 Years Old Daughter of F. N. & M. E.
Boyd, Mary E. Age 37 Wife of F. N.
Boyd, Mattie 6 Months Old Daughter of F. N. & M. E.
Cannon, Mary b. Oct 5, 1870 d. Mar 21, 1928 Wife of L.W. Childress, Melviney b. Jan 3, 1833 d. no date Wife of W. R.
Cowles, Albert K.(King) b. Nov 1, 1827 d. Apr 18, 1901 17th Ky Cavalry Union Army Civil War. Married Rutha Ann Wingfield. Son of Vincent Cowles. Cowles, Alfred N.(Newton) b. May 13, 1870 d. Apr 28, 1959 Husband of Sarah Ann Spainhoward, married on March 20, 1895 in Edmonson Co. Son of William Alonzo Cowles and grandson of Leroy Wesley Cowles. Cowles, Alice N. b. Dec 28, 1860 d. May 30, 1909 Wife of John T. Maiden name was Lewis. 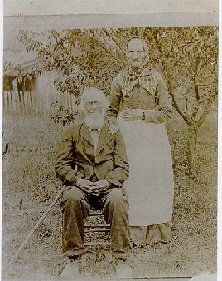 Married John Thomas Cowles on 12/24/1879 in Edmonson Co.
Cowles, J. A. (James A) b. Aug 10, 1840 d. Aug 30, 1923 Husband of Mary H,,married Mary H Spainhoward on Aug 12, 1869 in Edmonson Co. Son of Leroy Wesley Cowles and grandson of Henry Cowles. Served with the 17th Ky Cal. Union Army during the Civil Warr. Cowles, J. T. (John Thomas) b. Mar 21, 1859 d. Oct 30, 1923 Husband of Alice N. Full name was John Thomas Cowles. Son of Albert King Cowles. Cowles, Mary Alice b. Jul 3, 1863 d. Jul 3, 1937 Wife of W. E.
Cowles, Mary H. b. Oct 23, 1848 d. Jun 28, 1919 Wife of J.A. Cowles, Ruthia A. b. Sept 22, 1834 d. Apr 7, 1901 Wife of Albert King Cowles. Cowles, Sarah Ann (Spainhoward) b. Mar 4, 1871 d. Mar 30, 1939 Wife of Alfred N.
Cowles, William N. (Norwood) b.1815(this is from census info and is not on the tombstone) Tombstone is sandstone. A foot marker denotes his grave next to his wife’s. Husband of Patsy,,,This is William Norwood Cowles, son of Vincent Cowles and father of Leander Cowles who served with the 11th Ky Inf Union Army during the Civil War. Eubank, Mada Massey b. Feb 26, 1913 d. Jul 19, 1985 Wife of Harry H.
French, James b. Sep 10, 1801 d. Jul 17, 1898 Husband of Mary. James performed the marriages of many couples in and around the area of Pine Grove/Nick He was either a minister or justice-of-the-peace. Glass, J. W. b. Jul 4, 1873 d. Apr 30, 1956 Married to R. C.
Graham, Genevia b. Mar 6, 1902 d. Nov 8, 1971 Husband Sarah M.
Graham, Lassie E. Atchley b. Oct 12, 1901 d. Jun 23, 1919 Daughter of S.R. & M.R. Graham, Nettie b. mar 30, 1875 No date Wife of John S.
Graham, Virgie b. Mar 20, 1920 d. Feb 8, 1923 Son of H. C. & S. E.
Gross, J. J. b. Mar 26, 1856 d. Mar 2, 1899 Probably married to S. L.
Gross, S. L. b. Mar 24, 1856 d. May 17, 1898 Probably married to J. J..
Hardin, Minnie Ioma b. Dec 7, 1908 d. Nov 10, 1968 Wife of Columbus A.
Harvey, Nancy b. Nov 10, 1811 d. Oct 27, 1880 Wife of P. D.
Hawks, Albert M. b. Nov 11, 1936 d. Nov 10 1994 Husband of Lola F.
Hawks, Fannie Gross b. Mar 26, 1884 d. Jun 14, 1916 Wife of E. A.
Hawks, Homer b. Aug 28, 1913 d. Nov 11, 1995 Husband of Hallie F.
Hawks, Lola F. b. May 10, 1940 No date Wife of Albert M.
Hawks, Victoria b. Mar 20, 1875 d. May, 29, 1939 Wife of John M.
Hill, Nelson A. b. Nov 25, 1813 d. May 11, 1872 Flag on tombstone,,,possible Vet. Holder, Clara H. b. 1901 d. 1995 Wife of John H.
Holder, John H. b. 1896 d. 1951 Husband of Clara H.
Houchins, Sarah Margaret b. Aug 11, 1863 d. Jan 4, 1906 Wife of W. H.
Logsdon, John b. Oct 22, 1865 d. Aug 15, 1940 Husband of Ruby..Daughter Nealie married William Bluford Wilson on Feb 16, 1968 in Warren Co.
Manco, Charity (Wilson) b. Jan 30, 1895 d. Sep 5, 1925 Wife of Jesse,,Daughter of Charles A. Wilson and granddaughter of Martin Wilson. Manco, Jesse b. May 15, 1891 d. Mar 8, 1957 Husband of Charity & Annie. Married Charity on Dec 12, 1910 in Edmonson Co.
Simmons, Claud E. b. 1920 d. 1921 Brother of Homer G.
Watt, C. L. b. May 28, 1880 d. Oct 4, 1903 Son of J.A & L.
Watt, Pearlie b. Oct 27, 1893 d. Nov 7, 1876 Daughter of J.A. & L.
Watt, Silas b. 1852 d. 1928 Husband of Sarah J. Wells, Maggie b. Oct 13, 1875 d. Jan 25, 1898 Daughter of J.A. & L.
Wilkerson, Bailey C. b. Aug 25, 1912 d. Jun 3, 1995 Husband of Zula E.
Wilkerson, Zula E. b. Sep 3, 1924 No date Wife of Bailey C.
Wilson, Charles A. b. Oct 30, 1869 d. Feb 2, 1950 Husband of Edna,,,married on April 4, 1894 in Warren County. Son of Martin Wilson and grandson of Jonathan Wilson of Montgomery County Virginia. Wilson, Edna (Graham) b. May 14, 1876 d. Oct 7, 1929 Wife of Charlie…Daughter of Mark and Eliza Graham. Wilson, Gilliam b. Sep 12, 1911 d. May 2, 1916 Son of Granville Washington Wilson(Dan) & Viola. Grandson of Martin Wilson and GrGrandson of Jonathon Wilson of Montgomery Co Virginia. Wilson, Guy Dalton b. Nov 8, 1922 d. Sep 10, 1924 Son of Bluford & Maggie. Grandson of Charles A. Wilson and GrGrandson of Martin Wilson. Wilson, Nelia b. May 27, 1903 d. Sep 18, 1968 Wife of W. B.
Wilson, Newton E. Age 63 d. May 13, 1926 Husband of Nish(Annienacie Wingfield),,,married in 1890 in Edmonson Co. Son of Woodford Wilson and grandson of Jonathan Wilson of Montgomery Co Virginia. Wilson, Nish (Annienacie) b. Feb 17, 1852 d. Sep 18, 1935 Wife of Newton E.
Wilson, W. B. (William Bluford) b. Oct 16, 1897 d. May 25, 1931 Husband of Nelia Logsdon,,married on Feb 16, 1922 in Warren Co.Son of Newton E. Wilson and grandson of Woodford Wilson. Wingfield, James b. Mar 14, 1829 d. Oct 24, 1905 Husband of Mary A.
Wingfield, Louisa B. b. Sep 14, 1868 d. Nov 19, 1893 Wife of J. L.
Wingfield, Sarrah b. Aug 5, 1845 No date Wife of James A.
Yoakem, Leo E. b. Jun 15, 1932 Dec 26, 1975 Husband of Lucille G.